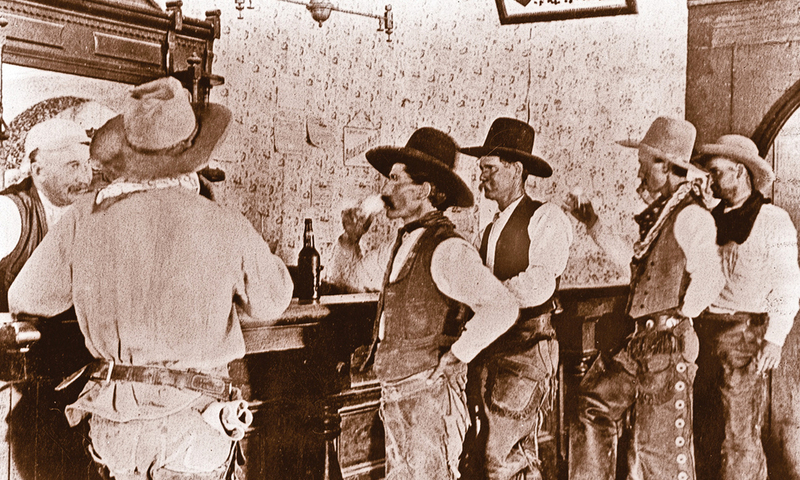 Local cowboys gather at a saloon in Tascosa, one of the wildest of Wild West towns. 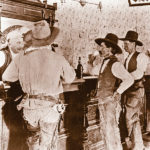 It takes something for an Old West shootout to be called “The Big Fight.” That’s the handle they stuck on a free-for-all in Tascosa, Texas, in the early hours of March 21, 1886. Valley shot Woodruff in the belly and groin (he would survive the wounds). Charley Emory took a bullet in the leg (he, too, would live to tell the tale). Valley tried to enter the saloon door and was killed with a bullet through the left eye. At the same time, Jesse Sheets—a local restaurant owner not involved in the fracas—looked out his door and was fatally shot in the face by Chilton. Chilton thought he’d killed Bousman and started a victory cry, but was silenced by a bullet probably fired by the Catfish Kid, who was hiding in a woodpile. The dying Chilton gave his gun to John Lang, who beat the retreat back to the Equity Bar where he picked up some reinforcements. At about that time, Sheriff Jim East—a former Pat Garrett deputy in Lincoln County, New Mexico—and his deputy Charlie Pierce arrived on the scene. The Catfish Kid suddenly made a run for it from behind the woodpile. Pierce called for him to halt, but the Kid kept going. Pierce fired and the Kid went down—but he was just playing possum. He’d soon get up and head out. 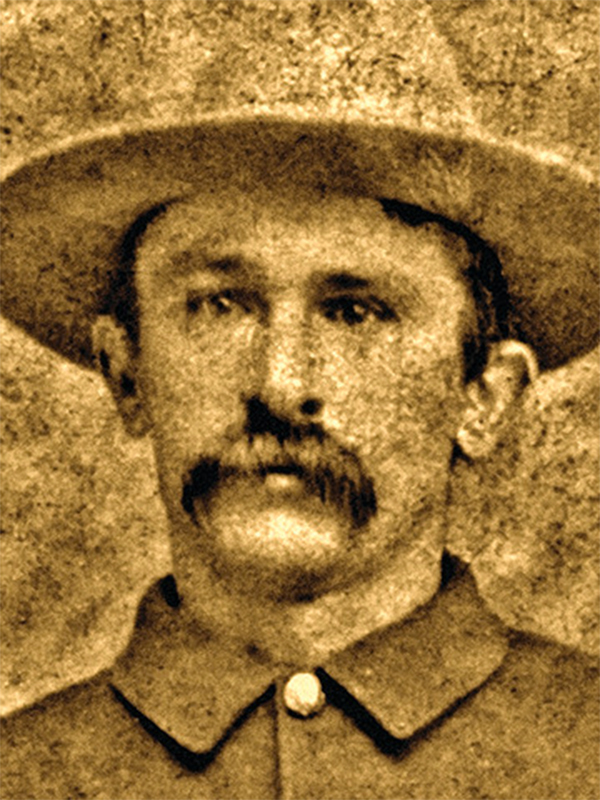 LS Ranger John G. Lang escaped “The Big Fight” without injury. The damage was significant: four dead and two badly wounded. LS ranch manager Jordan McAlister got the news and took about 50 cowboys into town later that night. But he thought better of things and decided not to continue the affray. Sheriff East closed all the bars and cleared the streets, and relative calm was established. Later that day, the four dead men were all buried in the local cemetery. 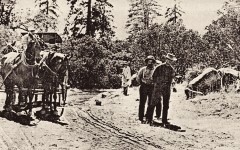 Lawman East and his deputy kept a close eye on the proceedings—attended by heavily armed men on both sides—to ensure that the tense peace would be maintained, and it was. Jesse Sheets would be exhumed in 1928 and re-buried in Roswell, New Mexico. Woodruff, Bousman, Charley Emory and the Catfish Kid were all arrested and tried for murder. The first trial resulted in a hung jury; a follow-up found the four not guilty. Tascosa continued as a hell-hole for a few more years. But the railroad never arrived and the town declined, becoming a virtual ghost town by the 1930s. And while The Big Fight got much national press in 1886, and claimed more victims than the Tombstone Street Fight, it wasn’t enough to keep the town going. The Big Fight had little impact in the annals of Old West shootouts. Why Did Pioneers Wear Dusters? Was Josh Randall’s Wanted: Dead or Alive ”Mare’s Leg” Winchester based on a real Old West Gun?